Summary: IOM Committee on Advancing Pain Research, Care and Education includes Rick Marinelli, ND, LAc and integrative MD Lonnie Zeltzer ... Did integrative practice organizations step up to participate in federal policy comment periods on prevention, benefits plans and ACOs? ... Comparative cost analysis of Blue Cross Blue Shield Tennessee low back pain data finds 20%-40% savings via using chiropractors first ... Spine comparative effectiveness analysis also thumbs up for chiropractors ... Primer on strategies for cost analysis of "CAM" published ... World Health Organization publishes benchmarks for training TCM, NDs, DOs, others ... Certified Professional Midwives push for Medicaid inclusion ... Mark McKenzie, LAc offers "progress report" for AOM field ... George Lundberg column shows battle over independent practice by non-MDs ... Samueli Institute in major wellness role at Big Task Weekend ... Alliance for Massage Therapy Educators publishes results of survey on standards ... AANP exec Karen Howard lays out federal priorities for naturopathic doctors ... AHRQ-publishes report that finds only modest value for CAM in back/neck pain ... Little headway in battle against medical errors, medical deaths ... Massage researcher Tracy Walton offers candid comment when major integrative pediatrics trials comes up negative ... Fox Business pumps integrative medicine ... AMA board chair Ardis Hoven, MD promotes interprofessional collaboration, with MDs in the center ... Walgreens seeks to "own 'well'" ... Barrie Cassileth's International Integrative Medicine conference ... Integrative Healthcare Symposium likely to draw over 1500 in New York ... Peter D'Adamo's Institute for Human Individuality to focus on "Generative Medicine" at May 2011 meeting ... Vanessa Esteves takes position with Elements Wellness. The Institute of Medicine (IOM) Committee on Advancing Pain Research, Care and Education, named in November 2010, includes two practitioners of integrative medicine. Portland, Oregon-based clinician Rick Marinelli, ND, LAc, is the immediate past-president of the American Academy of Pain Management and a gubernatorial appointee to the Oregon Pain Commission. Lonnie Zeltzer, MD, is an integrative pediatrician and researcher associated with the UCLA Collaborative on Integrative Medicine, a member of the Consortium of Academic Health Centers for Integrative Medicine. According to a release published here, Marinelli is the first naturopathic physician to be appointed to an IOM committee and the first licensed acupuncturist to gain an appointment to committee that is not specifically focused on "CAM" or integrative care. Marinelli was nominated through the Academic Consortium for Complementary and Alternative Health Care for which he serves as an external affairs representative. The IOM panel is charged with developing a national pain strategy and delivering recommendations to Congress by the summer of 2011. The IOM project was engaged as a follow-up to the National Pain Care Policy Act of 2010 (SB 660), passed as part of the Affordable Care Act. Good for the IOM to recognize, in the appointments of Marinelli and Zeltzer, the potential for contributions from the complementary, alternative and integrative practice communities in developing optimal treatment strategies. What if the national strategy actually elevated integrative approaches toward the front-line rather than burying them as after thoughts? Will this IOM national strategy be remembered as the time when the optimizing use of "non-pharmacological" approaches will help us break our pattern of growing pain pill addiction? Federal comment periods open, close on health reform initiatives: Are integrative practice interests showing up? Opportunities to have a say in 3 important new federal health initiatives following passage of the Obama-Pelosi Affordable Care Act opened and closed in November/early December. The US Surgeon General Regina Benjamin, MD, MBA called for comments on an emerging "framework" to guide the work of the National Prevention and Health Promotion Council. (The first 4 duties of this council directly reference "integrative health care," making this a quality opportunity to participate.) An Institute of Medicine study on Essential Health Benefits had a short comment period in early December. The IOM study will create guidelines for what's in and out of coverage with the 2014 implementation date for the new healthcare law. Finally, the Center for Medicare and Medicaid services offered a comment period that expired on December 3, 2010 on Accountable Care Organizations. This was a chance to comment on how integrative approaches and practices may be part of a leading payment and delivery model promoted by the new healthcare law. Comment: I corresponded recently with an Integrator reader who works inside a large federal healthcare agency. The reader noted that most people probably don't realize how much agencies do, in fact, pay attention to comments. That said, it does not appear that the integrative practice fields, as individuals or organizations, have stepped up significantly to be heard. Sadly, this is despite the fact that hard work from integrative practice-related interests actually placed language about integrative health care in at least one of the laws (Prevention Council) on which the comment period was recently open. Credit the Samueli Institute's Wayne Jonas, MD and Brian Thiel for a response which I will publish later this month in the Integrator. Samueli was instrumental in getting the "integrative healthcare" language in the prevention and health promotion section of the law. Credit also former policy wonk Bob Benson, founder of the Association of Bodywork and Massage Professionals, for contracting with Diana Thompson, LMP, immediate past-president of the Massage Therapy Foundation, for an excellent submission ABMP posted here. I have also heard from a couple of other individuals who participated. "For low back pain, care initiated with a chiropractor (DC) is less costly than care initiated through a Medical Doctor (MD). Paid costs for episodes of care initiated with a DC are almost 40% less then episodes initiated with an MD. "Even after risk adjusting each patient's costs we found that episodes of care initiated with a DC are 20% less expensive than episodes initiated with an MD." The analysis, carried out in 2006, was funded through a grant from the ACA. ACA president Rick McMichael, DC, shared with the Integrator that "we think this is a very strong study, with major implications." He attributes the outcomes to chiropractic medicine's "more conservative approach" and how chiropractors "get in there and partner with patients" to move them toward health. The study, says McMichael, "demonstrates the value of chiropractic care at a critical time, when our nation is attempting to reform its health care system and contain runaway costs." McMichael shared that the project with the Tennessee Blues plan began "some years ago" through an ACA House of Delegates member who shared that he thought the ACA might be able to access the insurer's data. Said McMichael: "We always have feelers out to get access to data. We're happy to put our approaches and services to the test." As another example, he points to the HMO Illinois cost saving data via Alternative Medicine Integration Group, an Integrator sponsor. Comment: At the time of my interview with McMichael, the study had not yet produced or received much mainstream media attention, other than this online Medical News link. I am reminded of comments by integrative cardiology researcher Eileen Stuart, RN, MS, PhD, regarding the reception of her scientific offerings at cardiology meetings. Stuart's research, published in top journals, had found significant benefits of a program she developed at Harvard with Herbert Benson, MD that combined natural health measures for heart patients: "I always have a few doctors come up after and ask about the program. If these outcomes had been due to a drug, the doctors would have been flocking around me." Imagine what kind of media coverage we would see from a press release like this: "New drug shown to save 20%-40% on treatment of conditions that costs nation $50-billion annually." It doesn't help that ACA was the study's backer, suggesting potential bias. Yet one wouldn't think BCBS Tennessee would be interested in scamming the public on behalf of chiropractors. Better dead than red, I guess. Drug medicine uber alles.
" ... compared to family physician-directed usual care, full clinical practice guideline-based treatment including chiropractic spinal musculo-therapy treatment is associated with significantly greater improvement in condition-specific functioning." See The Chiropractic Hospital-based Interventions Research Outcomes (CHIRO) Study: a randomized controlled trial on the effectiveness of clinical practice guidelines in the medical and chiropractic management of patients with acute mechanical low back pain. The Use of Economic Evaluation in CAM: An Introductory Framework is a useful 24-page discussion article recently published in the open-access BMC Complementary and Alternative Medicine. The authors note that "in order for CAM to be extensively considered in health care decision-making there is a need to expand the evidence-base for these medicines and therapies and for the CAM research community to further incorporate economic evaluation into research priorities (alongside developing a broader health services research agenda)." They explore complexity issues, arguing that using a Markov model approach could be useful. The authors conclude with this statement: "Whether examining the use of CAM alone or as an integrated component of contemporary health care provision, further consideration of economic evaluation as a research tool is required. This paper provides an impetus for those interested to pursue such a worthy goal." Reader Michael Cronin, ND, recently sent a link entitled "An Unhealthy America: The Economic Burden of Chronic Disease. The site was created some time ago through the Milken Institute. It may prove a useful reference for some readers. "Support integration of traditional medicine into the national health system." Comment: My scanning plus early feedback from a few individuals in the field suggest that these WHO benchmarking documents are quality, respectful work. More specific commentary is welcome. After a victory in gaining inclusion in Section 2301: Coverage for Free Standing Birth Center Services in the new federal heathcare law, the Certified Professional Midwives (CPMs) are gearing up for a legislative drive to gain full inclusion as Medicaid providers. CPMs are home-birth focused midwives. The lead agency in the effort, which also drove the successful 2009-2010 lobbying, is the MAMA Campaign, involving all the field's national organizations. The campaign's website features a fetching video on the midwifery field. A notice from the organization stated that the new bill was to be introduced the week of November 29, 2010. Individuals interested in a quick look inside the acupuncture and Oriental medicine (AOM) profession may find it useful taking a couple minutes with the Progress Report from Mark McKenzie, LAc, published in the December 2010 Acupuncture Today. McKenzie is the dean of the AOM program at Northwestern Health Sciences University and a commissioner for the Accreditation Commission for Acupuncture and Oriental Medicine. McKenzie honors what he believes have been his profession's advances (organizations learning to work together; growing public interest) and notes some significant challenges (resources; practice viability). He rallies the troops toward greater involvement, a significant challenge in AOM. McKenzie closes: "Our training teaches us to consider the whole person when diagnosing and treating disharmony. Please keep this in mind as you reflect on the progress we have made as a profession, the challenges we have overcome and the future opportunities all of us will face." Former Journal of the American Medical Association editor George Lundberg, MD, presently editor of MedPages, offered a November 29, 2010 video commentary entitled Do Nurses Want to be Doctors? Lundberg was provoked by the Institute of Medicine's report on the future of nursing in which vast expansion of independent practice by advanced practice nurses was strongly recommended. States Lundberg: "You nurse readers are going to love this report; many of you physician readers may not. It may curl your hair, in case you have any left." Lundberg's position is ultimately muddy, both bemoaning the day when the nation's primary care is not principally by MDs and saying that if primary care is "saved" by nurses and others, "so be it." He then proceeds to dub the nurses "Noctors." Samueli Institute co-chairs the health and wellness group at "Big Task Weekend"
A November 17, 2010 newsletter from the Samueli Institute noted that the not-for-profit partnered with Mehmet Oz's HealthCorps to chair the Health and Wellness working group at "Big Task Weekend" in Los Angeles September 30-October 2. 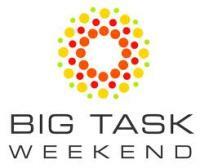 Big Task Weekend describes itself as "an exclusive community and an invitation-only leadership forum where Executives, Political Leaders, Academics, and Leaders of NGOs connect to solve the world's biggest challenges." The most recent iteration of the 5-year-old initiative to build unusual, problem-solving collaborations included 5 foci. One of these, Health and Wellness, has as its mission "to educate and motivate Americans to improve their health and wellness at all stages of life." According to the release, Samueli Institute staff members facilitated and participated in the discussions concerning corporate, community, public and private sector health and wellness initiatives in the United States. Next steps reportedly include "coalition building and outreach efforts to make health and wellness a national priority." "82.0% agreed that national standards need to be established for massage/bodywork curricula in entry-level programs, versus 7.1% who disagreed. "80.4% agreed that competency-based national teacher education standards are needed, versus 6.8% who disagreed. "75.3% agreed that there needs to be national standards defined for advanced-level training programs and certification in specialized areas of practice, versus 11.2% who disagreed. "53.5% indicated their agreement with the need for a single centralized approval program for continuing education providers and courses, versus 25.6% who did not agree that such a program was needed. "53.2% agreed that the Massage Therapy Body of Knowledge needs modification before being adopted as an "official" document to be used by state agencies and national accrediting commissions, versus only 5.2% who disagreed." Schwartz: Will other massage organizations collaborate? "I don't think these findings surprise anyone. The trick with massage therapy education is to make something happen on a national level. There are 1500 schools, 50 states and plus or minus 250,000 therapists in the U.S., so it's like turning a battle ship, not a kayak. (I hate to use war like imagery, but in this case it's appropriate!) My hope is that the other organizations in the massage therapy field will be willing to work with the Alliance to move this progressive agenda forward." "Defining key terms from the law, including 'integrative healthcare practitioner' and 'nondiscrimination,' by working with the Department of Health and Human Services and the Senate. Since Democrats retained control of the Senate, health and wellness champions can continue to play a central role in the regulatory and funding process. "Funding of a new Public Health Workforce Loan Repayment Program authorized in the new law. We have been advised that NDs will qualify to participate, if and when the program is funded. "Working for inclusion of NDs in all existing federal loan repayment programs, a collaborative effort of AANP and state affiliates working with both federal and state legislators and regulators. "Using our relationships with coalitions and others to expand access to naturopathic care at the state level by supporting licensure and expansion of scope, focusing on saving cash-strapped states healthcare dollars." Comment: Of particular note here is Howard's statement that the organization has "been advised that NDs will qualify to participate" when the new loan payback program is funded." NDs have not in the past been included. New ND graduates with their $150,00-$250,000 in student loan debt will be following this closely. Comment: The review and the publication by AHRQ are especially notable given the increasing importance of pain strategies in the nation's research agenda. Note the article in this Round-up on the new Institute of Medicine (IOM) Committee on Advancing Pain Research, Care and Education, and the importance of pain in the emerging 2011-2015 NCCAM strategic plan.
" ... examined 2,300 randomly selected patients' records at 10 hospitals in North Carolina from 2002-2007 and found 588 instances of 'patient harm,' including surgical errors, hospital falls, misdiagnoses, medication errors, and hospital-acquired infections. Fifty of the incidents were considered life threatening, and 14 people died, according to the study." A follow-up article on December 3, 2010 from Health Leaders, titled Medical Errors Stubbornly Common, Studies Find, references both the NEJM report and an Office of the Inspector General report entitled Adverse Events in Hospitals: National Incidence Among Medicare Beneficiaries. The latter found similar outcomes. 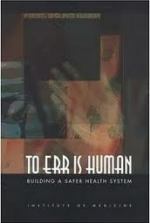 Comment: It's been 11 years since the IOM appropriated Alexander Pope's poetic phrase To Err is Human as a title for their landmark, eye-opening study that concluded that at least 98,000 hospital deaths each year come via medical errors. Much effort was put into responding, particularly under the leadership of Don Berwick, MD, who led the 100,000 Lives Campaign through the Institute for Health Improvement. Berwick is now Center for Medicare and Medicaid Services administrator. (The findings are not likely to help Berwick with his vociferous opponents on the Hill since his efforts could be framed as failures.) Interestingly, Pope's full phrase is that "to err is human, to forgive is divine." When it comes to medical errors, I suspect that most of us remain located in different panels of the usual and customary triptych. What do you do when research doesn't come out the way you'd like? Massage research leader and oncology massage specialist Tracy Walton, LMT, MS provides an unusually candid commentary on the topic. Walton heard researchers at the American Massage Therapy Association conference report findings of a large, NIH-funded, controlled trial of massage and humor for children with stem cell transplant. Walton's summary in a Massage Today article includes this statement: "The study reported that massage had no effect on any of the outcomes studied. Not one." Walton offers a quality reflection on how she digested findings that surprised even the researchers. Comment: Kudos to Walton for the unusually candid response. Interestingly however, she concludes with this: "I am not ready to abandon massage of stem cell therapy patients, nor do the investigators suggest that we should." "Meanwhile, in New Jersey, Atlantic Health System is also democratizing IM at its four residential community locations. 'We knew we were making strides when we received the recognition and support of our cardiac surgery team, who acknowledged that their patients were getting relief,' says Emilie Rowan, manager of integrative health at Atlantic Health. 'The docs started to refer patients to us.'" "When each one is an expert in his or her own field and all are trained to work toward a mutual goal, individual contributions are magnified, and results are more than a single person could ever achieve." Comment: Hoven's column was circulated to me by colleagues promoting inter-professional education as a means of creating mutual respect and understanding between the disciplines. Most were excited to see this apparent openness from the top of the AMA. The willingness to consider teamwork, and acknowledge a need to work on it, is a step in the right direction. But there is clearly no room here for chiropractors, nurses, naturopathic doctors, AOM professionals or any non-MD to be leaders of the collaborative teams. The extraordinary Blue Cross Blue Shield of Tennessee data showing 20%-40% cost-savings when patients first access chiropractors, and reported in this Round-up, is one example of the value that may not be accrued by our health system unless we allow other practitioner types as team leaders. The Institute of Medicine's report on the future of nursing makes the case for hte importance of nurse-led teams. The era of collaboration in US medicine may actually begin only after MDs let go of their belief in their necessary centrality. No one likes playing with anyone who says it's my ball, so collaborate by my rules, especially when evidence to support ball-taking is scant. Wouldn't it be nice if the AMA decided it was time for a Tai chi move, rather than Western pugilism? Might the AMA lead best by empowering others to leadership? "We are evolving into a retail health and daily living store ... We want to own ‘well.'" So spoke Walgreen's CEO Greg Wasson in an early November presentation to Wall Street analysts and investors. The company, says Wasson, wants "to capitalize on what he called the 'retailization' of the nation’s health care system," according to this account in Chicago Business. The emphasis of his pitch was on health and wellness and an expanding role for pharmacists. International Integrative Care for the Future, Amsterdam, March 11-12, 2011.
International Integrative Care for the Future is chaired by Barrie Cassileth, PhD, integrative cancer leader at Memorial Sloan Kettering hospital in New York. Cassileth shared with the Integrator that the conference will open with a half-day round-table symposium of international health policy leaders." This will be followed by a day of lectures by experts from various regions. The organizers promise to create opportunities "to exchange ideas with others from around the world." Speakers from the United States include Richard "Buz" Cooper, MD, Integrator adviser Clyde Jensen, PhD and Adi Haramati, PhD. For details click here. English will be the official language of the conference. In 2011 Integrative Healthcare Symposium (IHS) is anticipated to draw even more participants that the 1200+ who attended the 2010 multi-disciplinary event. At the IHS, MDs, nurses, chiropractic doctors, nutritionists, naturopathic physicians and others gather at the New York Hilton for 3 days of top flight content from integrative practice leaders. The continuously growing conference has become the premier annual event of its kind. The sterling line-up of speakers includes Rachel Remen, Jeff Bland, Lori Knutson, Walter Crinnion, Tieraona Lowdog, Alan Gaby, Lise Alschuler, Mark Hyman, Susan Luck, and many, many more. The program is directed by Woodson Merrell, MD, long-time integrative medical doctor and chair of the Department of Integrative Medicine at New York Beth Israel Hospital. Comment & Alignment of Interest: This conference has morphed from being not only an exceptional meeting for clinicians but also a significant community gathering. I will be involved in 2 presentations related to policy and practice, as part of my role with Integrator sponsor IntegrativePractitioners/IHS. One is a review of the year's developments in integrative healthcare policy, with Erik Goldman, editor of Holistic Primary Care. The other is a panel I will moderate on in-patient integration programs with an exceptional trio of experts: Knutson (Allina Hospitals & Clinics), Ben Kligler, MD, MPH (Beth Israel) and Richard Gannotta, NP, DHA (Duke) whose survey on inpatient programs is reported here. Make it if you can! The Institute for Human Individuality, founded by naturopathic clinician and author Peter D'Adamo, ND will host its 6th conference May 20-22, 2011 in Norwalk, Connecticut. The focus will be on what D'Adamo, known for his writing on blood type diets, calls "generative medicine." In Joseph Pizzorno, ND's review of D'Adamo's 800+ page textbook, Fundamentals of Generative Medicine, Pizzorno effectively tips potential conference attendees on what they might learn: "This book is not specifically about the blood-type diet. Rather, it is the most profound exploration of biochemical individuality ever written." Jeff Bland, PhD, also lauds his work. D'Adamo shared with the Integrator that typically 200-250 professionals turn out for the IfHI conferences. Among the 6 speakers, besides D'Adamo, are Mitchell Stargrove, ND, LAc, lead author of the widely acclaimed Herb, Nutrient and Drug Interactions. "The problem with analyzing naturopathic therapies is that most researchers see them as complex entities working in simple relationships. Reality is more often the exact opposite of this." One is guaranteed complexity at D'Adamo's events, not always simple resolutions. Vanessa Esteves, ND, MBA has been named director of corporate health programs at Elements Health Plans, a firm founded by Arnie Freiman. Elements was formed, according to Freiman, to "put the health back into health plans." The firm considers itself "the next generation of consultant-brokerage insurance firms" with its specialty in integrating insurance and lifestyle management programs "to design quality custom healthcare plan options that decrease claims costs and improve the well-being of your employees."